Last month, a Twitter account which self-describes as a, “Local account for all things satire,” popped up. So far this account, named Campus Crow, has posted 36 tweets indulging in StFX stereotypes, poking fun at some faculty, and more humorous content. I can’t blame anyone if they haven’t heard of this; Campus Crow has 307 twitter followers, and typically gets 2 retweets per post. They do tend to get an average amount of likes, usually falling between 30 to 60 likes or more. Among their most liked content includes, “Finance Major Realizes Return on Bag of Refundables From StFX Hoco Not Enough to Cover Damages of Hole Punched Into Wall...” and, “Student Who Can’t Wake Up For 8:15 Class Attends an 8am Power Hour on a Saturday”, with 92 and 106 likes respectively. A quick glance at Campus Crow might tip off some readers as being directly influenced by The Onion, a famous satirical news website. Certainly the headlines are inspired by The Onion, having the same sarcastic tone. The Onion’s articles usually come in two different styles: things that ‘everyone is thinking’, or professionally written articles that are hilariously untrue. 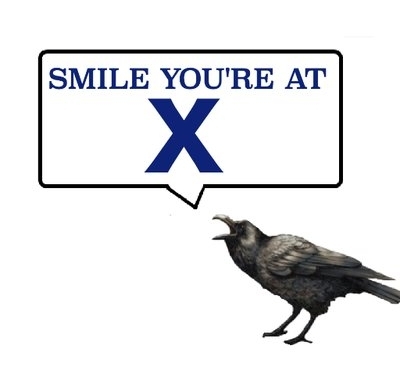 Campus Crow is emulating the former, but since it is related to StFX, the types of jokes they can post are stricter. Most of Campus Crow’s posts are related to StFX’s party reputation, residence stereotypes, or jabs at everyday life on campus. As Campus Crow is restricted to Twitter and its small character limit, I’m not sure if it can really be called satire at all. With The Onion, the joke doesn’t stop at the headlines. The real satirical element is found in the content of their articles. In the article, “Tour Guide One Stop Behind Clearly Giving More Interesting Tour”, the joke isn’t just that it’s a thought many people have had before. n addition, Campus Crow’s inspiration is criticizing the sensationalism common in news websites. Basically, satire is a perfect word to use to describe The Onion and other sites of its ilk. But when you don’t have the context for these headlines, the joke is left half-finished. Obviously, Campus Crow is meant to be a Twitter account posting quick jokes, using stereotypes and situations any StFX student could understand. Do I find them funny? Well, I suppose so. I’ve seen all 36 of their tweets and most of them I found a little funny, but nothing made me really laugh. Honestly, the things Campus Crow chooses to make jokes out of might be a little too predictable to be effective. So is Campus Crow satire as it claims? I don’t think so. To be satirical is to be critiquing something, and I’m not convinced that’s what Campus Crow is trying to do. That then begs the question, what kind of effect does this Twitter have on the StFX student body? Setting aside the fact that Campus Crow’s reach is relatively small, there is something kind of problematic in making fun of stereotypes without any sort of context. Even as a joke, stating negative stereotypes about certain residences without any kind of critique arguably promotes the stereotype rather than call it out. In between this semester and the last, StFX made some tough decisions about many residences. Lane is no more, and University Ave is now co-ed. There has been an obvious attempt to change residence culture at StFX. Taking that into account, maybe we should all be more mindful about how we stereotype different residences and try to foster a more positive atmosphere. Although I don’t think that Campus Crow is very relevant when it comes to negative stereotypes (like I said before, the account is harmless and doesn’t have a huge audience), it will be interesting to see if this account continues to gain followers and see what part of StFX student culture it jokes about next.